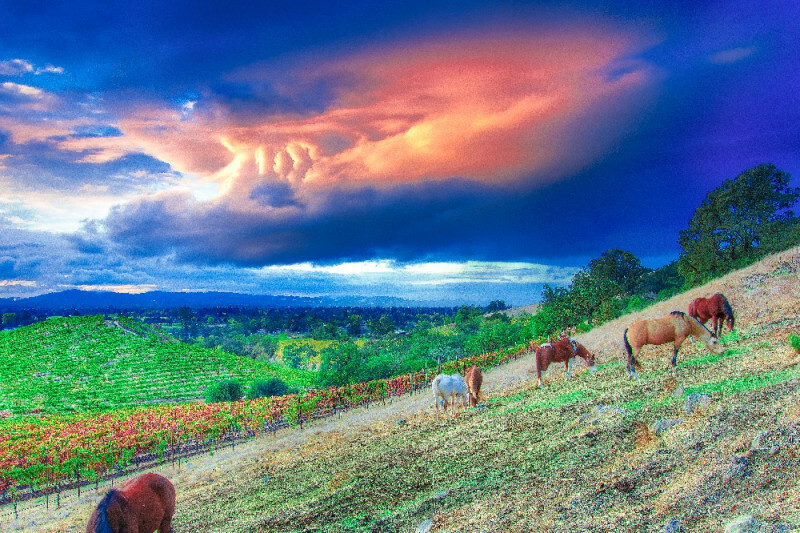 Cloverleaf Ranch is a beloved Sonoma County family-run business. For 70 years, Cloverleaf has provided horseback riding programming as well as day and resident summer camps. Many local and international children have grown up on its beautiful oak-dotted hills and shared in the wonder of its beauty. 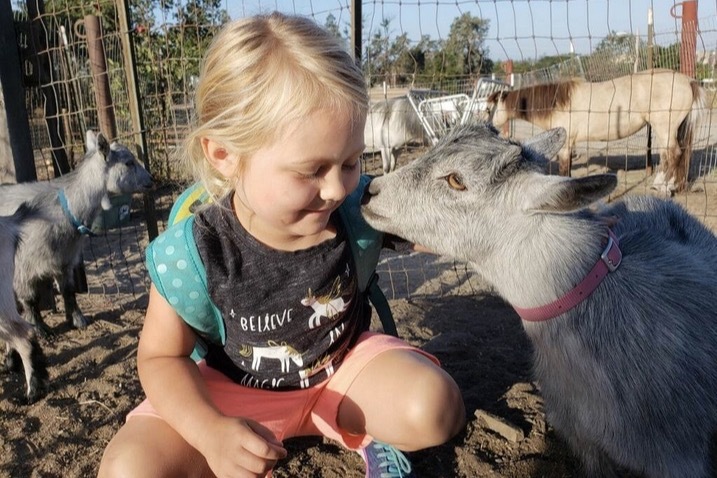 As an active Santa Rosa business, Cloverleaf Ranch has worked in many ways to help develop a strong and caring local community. Shawna DeGrange, a third generation owner, has established a non-profit to bring the magic of summer camp to children of all backgrounds. In addition to its main camp and equestrian programming, Cloverleaf has been involved in local art and music events, teacher retirement parties, community building events, equestrian education opportunities, weddings, and more. Cloverleaf has touched the lives of thousands of people over many generations. In the October 9th fire, Cloverleaf sustained extensive damages. While the losses are great, we look to the rebuilding process with optimism and hope. In the face of damage that has been far reaching, Cloverleaf will continue to stand as a stalwart of the community. Let us come together now to help repair this phenomenal and life-changing organization. As the situation in Santa Rosa continues to unfold, we continue to hold the residents in our thoughts and prayers. Howdy! It's been a while! We wanted to give you an update on how things are going over here. We are thrilled to announce the start of our 71st summer season! We are off to a great start, and are so excited to share in another fun filled summer of sloppy joe’s, trail rides, and goofy games! 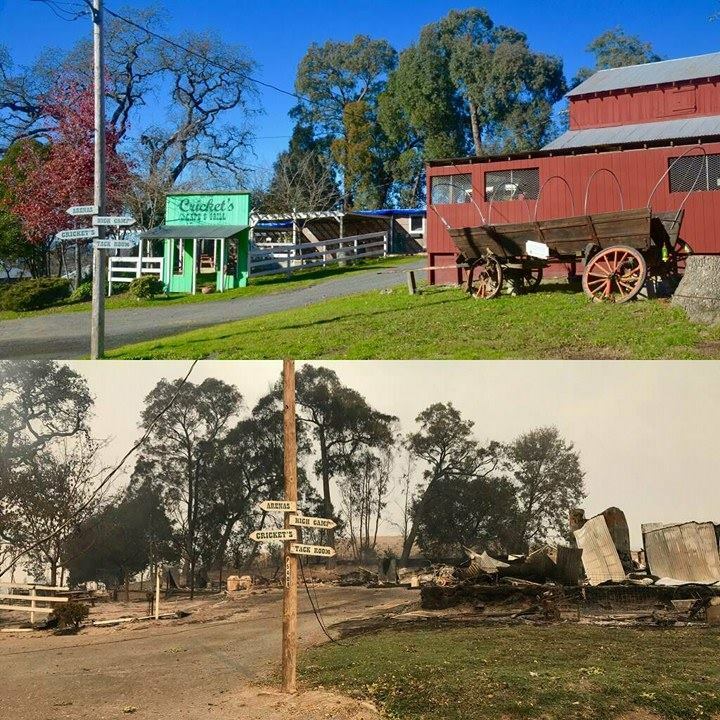 This year has been a challenging one for all of us in Sonoma County, and just like our neighbors, Cloverleaf has been through a lot. 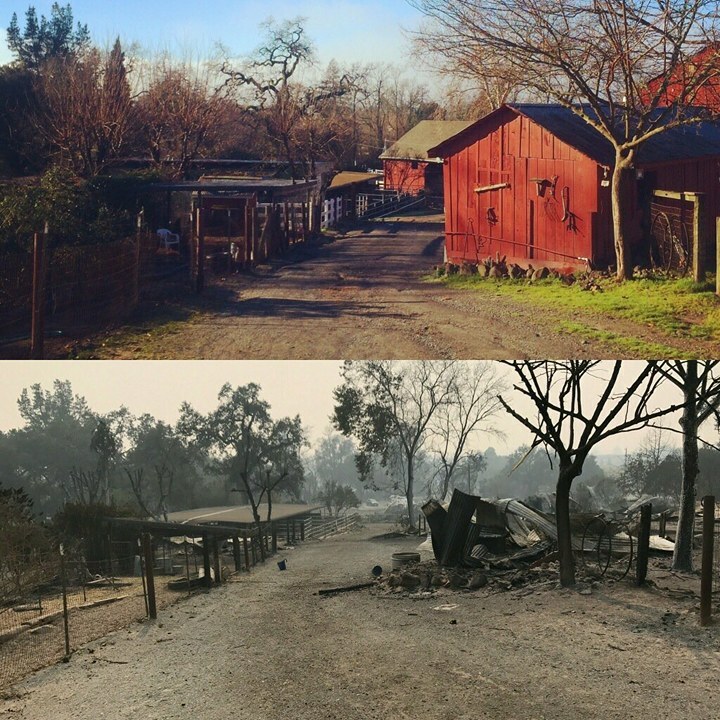 Right after the fire we knew that we wanted to make it our goal to have a normal 2018 camp season. So many people have come together to help make this summer happen, and we have worked tirelessly to make sure that our awesome activities (like our 1,000 foot zipline!) are ready to go, and our facility is up to our stringent American Camping Association safety standards. We’ve done it! Camp is here and better than ever. Help us spread the word: we are OPEN! Registration is online at www.cloverleafranch.com or by phone at 707-545-5906. Many in the community have been worried about the empty view from the road, but camp itself is fantastic! The most helpful thing you can do to continue to support Cloverleaf now is to let people know that camp is on and happening now! We could not have done this without you. We have been in awe of the support and love that we have received from you, our wonderful community. Thank you again from the bottom of our hearts. You have helped provide a wonderful gift to the children we are dedicated to. Camp is about being a kid, learning about the animals and outdoors, having fun, and being accepted for who you are. Thank you for supporting this invaluable childhood experience to the kids in our community who we all love. You are a part of each learning experience, smile, and moment of side-splitting laughter this summer. Thank you for being with us and a part of us! Thank you again to everyone who has donated--we can't tell you how much it means to us. We are almost halfway to our goal! If you are able to, please continue to share and spread the word. We have included a few more before/after photos. They accurately show the extent of the damage from the fire. We have an uphill road to climb, but please don't be discouraged by these images. Your donations will help rebuild this devastating loss. An update from our camp director was sent out to all our camp families today, which you can read below. If anyone is interested in some Cloverleaf gear, we are also running a limited-time t-shirt campaign! Proceeds go to rebuild efforts as well. It has certainly been a difficult time for our community. 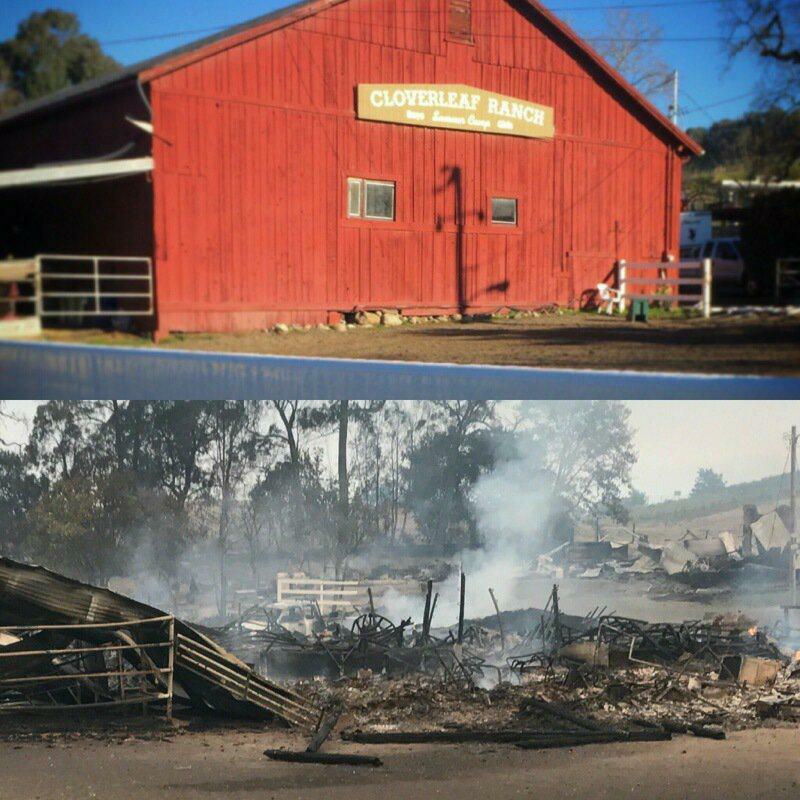 Cloverleaf, among many other family homes and local businesses, has experienced great loss. Be assured though, that Cloverleaf itself is NOT lost! The magic and spirit of Cloverleaf is alive and well and has been so apparent in the community’s willingness to donate, support, and offer volunteer services. We continue to feel loved by our families and staff, not only here in Sonoma County, but also from around the world. We are deeply grateful for the structures that survived, and the sight of them gives us hope and determination for the rebuilding process. Though we have been displaced, our work continues from our make-shift home offices! Your loving administration staff has been working non-stop to guarantee we will have another amazing summer camp season in 2018. We are utilizing every available resource to ensure that Cloverleaf is able to open this summer as a safe and healthy environment for your children. Our focus at this time is on the clean-up process and proper handling of toxins and we will be working closely with government and non-profit organizations to ensure that our land is safe and renewed for this upcoming summer. These measures will include ongoing water, soil, and air testing at each stage of the clean-up process. “Safe fun,” has always been our motto, and we continue our work equally dedicated to both. We are committed to having a 71st summer filled with Sloppy Joes, camp-songs and carnivals. Our summer season starts June 10th and we will be hard at work until then. Open houses are still planned for April 23rd and May 22nd and we can’t wait to celebrate our rise from the ashes, made possible through your continued love and support! Thank you to everyone who has so generously donated. 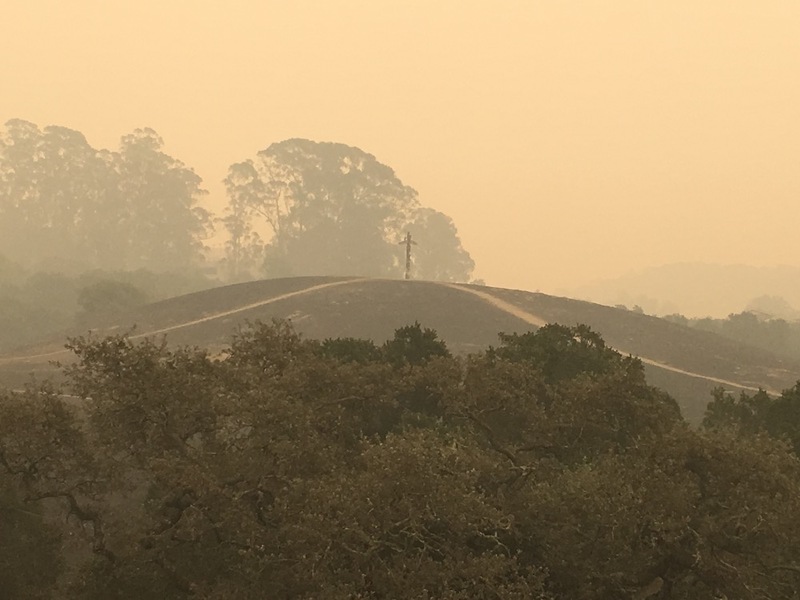 We hope everyone has remained safe in the fires. 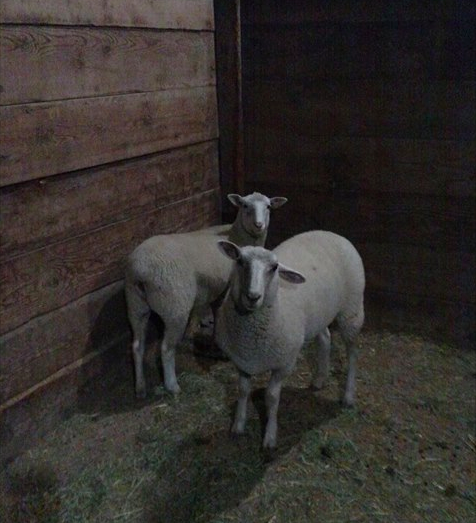 Here are a few more pictures-- as you can see our sheep made it out safe as well. Please also remember to share this campaign! Thank you everyone for the continued support, we are so heartened by the kind responses we have received from everyone. We wanted to post a few pictures here for those anxious to see the state of the property. 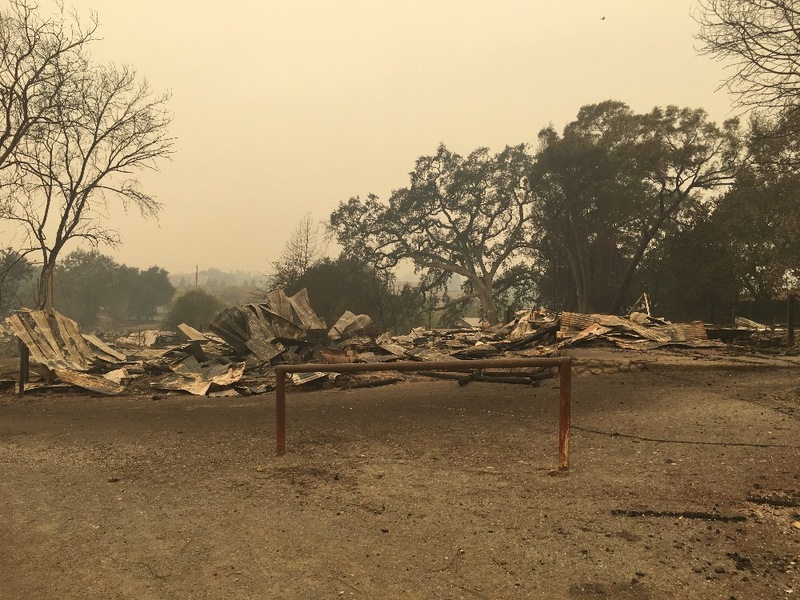 Both barns, cricket's cafe, the pool area, the office, and the residences have been destroyed. 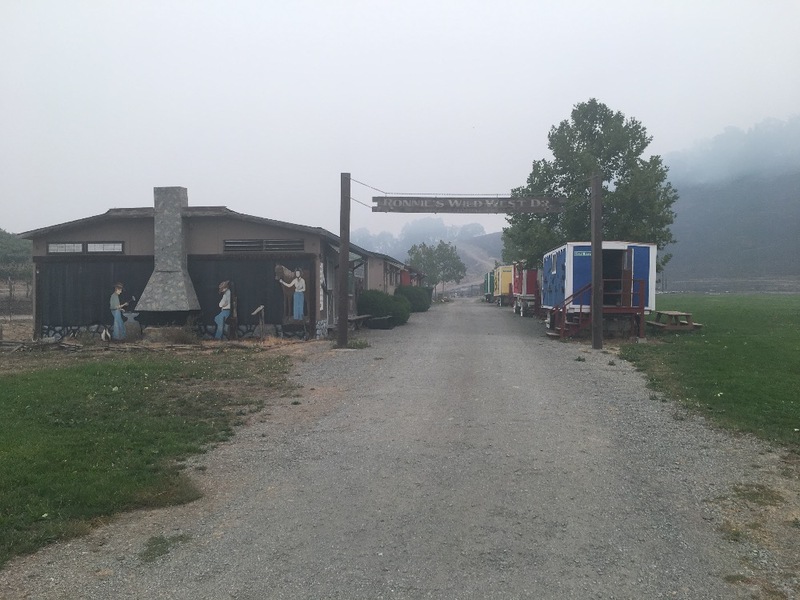 Amazingly, the cabins at high camp are still safe for now. This is extremely heartening news, and in the midst of such extensive damage we are cherishing what we do have. More pictures will follow in the days to come. 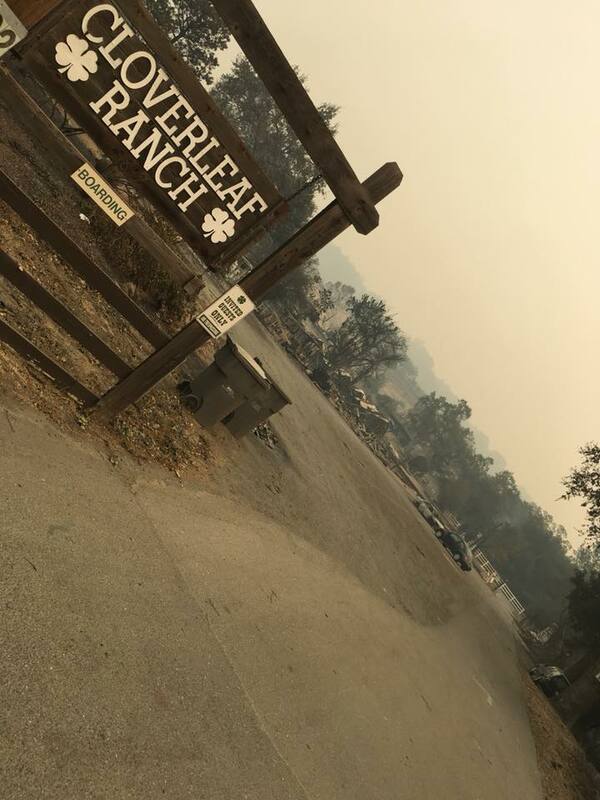 For those who are not directly impacted by the fire, please continue to share this campaign with anyone you can think of who might be able to lend a helping hand to our dear Cloverleaf Ranch. Everyone in the fire area- our thoughts are with you!